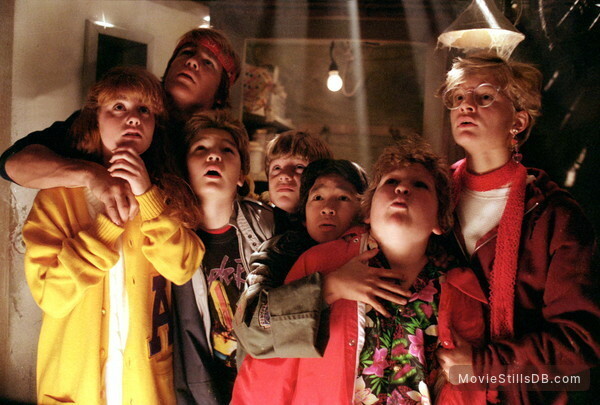 Publicity still of Josh Brolin, Sean Astin, Jonathan Ke Quan, Corey Feldman, Martha Plimpton, Kerri Green & Jeff Cohen. Copyright by Warner Bros. and other respective production studios and distributors. Intended for editorial use only.